Size: 5,026 sq. ft. "AC 4,423sq. ft. Outdoor/Decks 602sq.ft." Lot Size: 7229 sq. ft. Located on the Pacific Ocean side of the private and exclusive Pedregal Development, just a short walk to the beach. 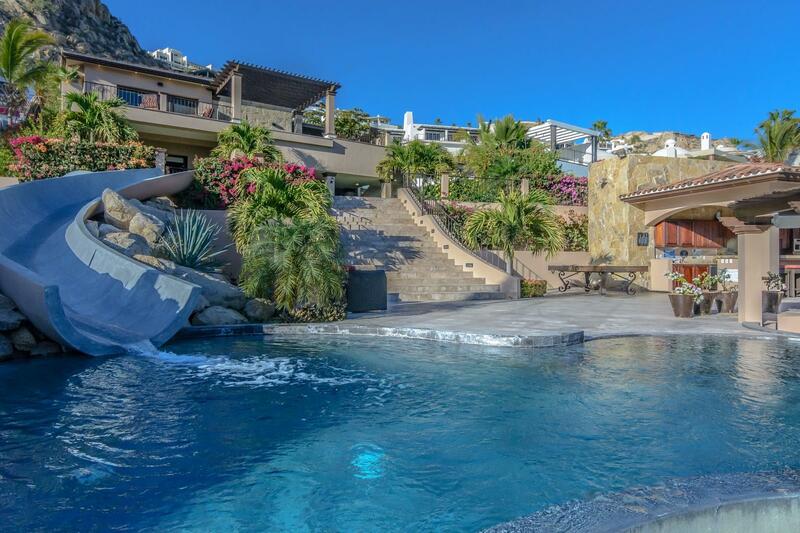 With some of the finest views of the Pacific Ocean in all of Cabo. This beautiful 4 bedroom, 4 1/2 bathroom luxury home offers many special features and amenities found only in a few of the homes here in Cabo. That makes this home "The Place To Be!"